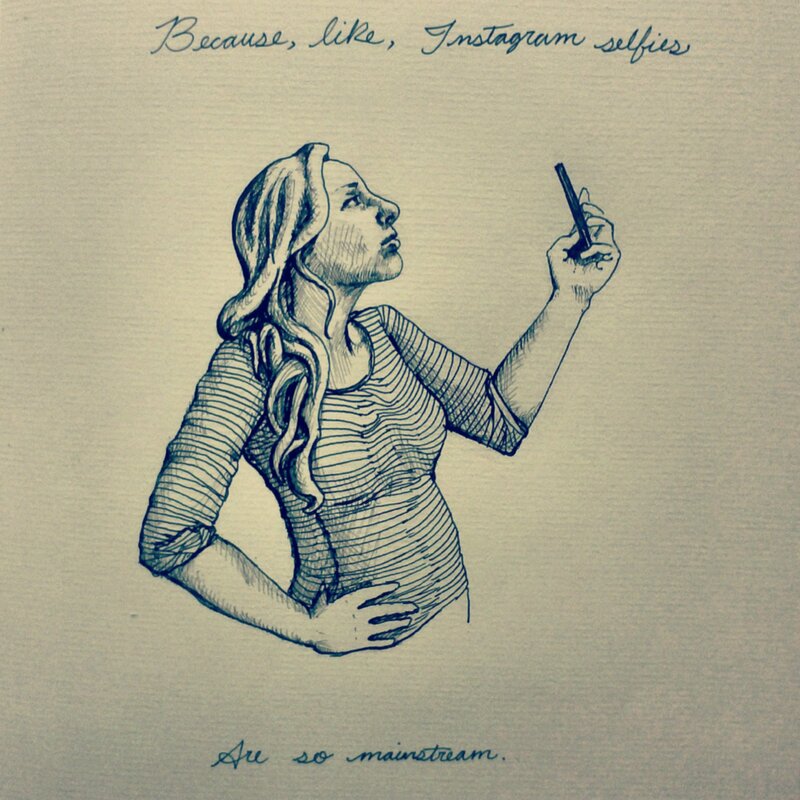 So there was a free book up for grabs today for the person who posted the best selfie, and me being slave to whatever means will get me free books, I decided to be ironic about it and draw a self portrait of me taking a selfie. Except by the time I’d finished, all free books were already given away and I was left with a super narcissistic selfie-portrait. And, rather than let it go to waste, and because I’m conceited enough to be very proud of it, why not. Here’s me at my most vainglorious. Well for sure you would have gotten a free book if you had submitted this in time. Hey, I’ll send you a free book for that vainglorious selfish selfie. Any particular title ? Hmm ? But first you have to send me the drawing as proof. BTW do you guys stay up all night and/or get up at ungodly hours to post comments? This totally deserved a free book!